When you hear the phrase, “modular home” what words come to mind? Unless you own a modular home or have expertise in the housing industry, your mind might be plagued by misconception. If you think of modular homes as cheap, unsafe, or sterile, chances are you’ve been exposed to the commons misconceptions floating around about modular homes. Unfortunately, our human tendency when we learn about anything non-traditional is to assume that it comes with red flags. 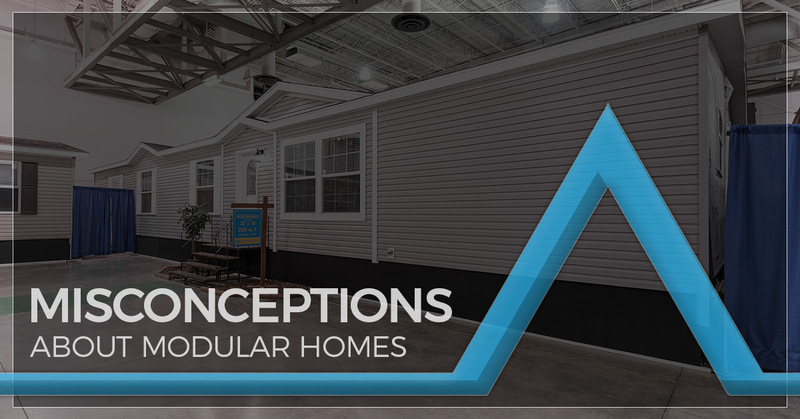 Luckily, dispelling common misconceptions about modular homes is easy because the statistics continually prove the benefits of these homes. This myth has been floating around for eons, but it really stems from mobile homes. Often confused with mobile homes, modular homes are much more permanent, high-quality structures that usually stay in a fixed place. Mobile homes can lose value over time. Modular homes, on the other hand, are indistinguishable from traditional stick-built homes, both in looks and value. Indeed, once you build a modular home, its home value appreciates at the same rates as traditional homes in the area. Modular homes actually have a better track record of longevity, too. After Hurricane Sandy, FEMA replaced destroyed homes with stronger modular homes that can withstand the force of hurricane-strength wind. Just because something is built in a factory does not mean it’s poorly constructed! Think about everything else you buy that was manufactured in a factory: cars, appliances, airplanes. We don’t assume these are poor quality because they were built indoors. The same goes for modular homes. If anything, being built in a factory gives modular homes a distinct advantage over stick-built homes. For one, the construction team can access parts of the home that traditional crews could never dream of touching. This means that modular homes feature much more insulation between doors, windows, and walls, and that they are air-tight. Additionally, modular homes are held to stringent inspection standards that differ from traditional homes. They go through rounds of inspections after each component of the build. Once the modular home is complete, state and local inspectors examine it again. Traditional homes, on the other hand, only have one inspection after the building. While modular homes share similar layouts, that’s true of every home! Think about a development in your neighborhood. Most of the homes include identical materials and layouts which contributes to the “cookie-cutter” effect of suburban homes. Modular homes are actually extremely customizable. At Cannon Homes, for instance, we feature several different floor plan options each which customizable blueprints. Plus, you can custom-design your interior in addition to your floor plan. Modular homes might be compact, but they also make better use of space than traditional homes. In fact, most modular homes include at least two bedrooms and two bathrooms. This is the exact layout you would expect from a single-family home. If anything, modular homes save you enough money to maximize your family budget elsewhere. You save on home mortgage costs and utility bills, yet you get all the space you want. For family-friendly modular home plans, check out our floor plans and search for two-story or multi-section homes. Cannon Homes is the Top Rated Local® Modular Home Builder in Illinois, serving all of the state including Marion, Salem, and Mount Vernon. As an exclusive Redman Homes builder, we offer these highly popular modular home models. To learn more today about modular homes and the benefits to buying modular, give us a call!